Have you locked yourself out of your home? There’s no need to panic! You have made it to the right place as with our help, you will get back into your home within a matter of minutes. A1Locksmith is the most reliable emergency locksmith available in Toronto, Ontario. We are the 24-hour locksmith in Toronto and surrounding area that can unlock your home and provide you with the convenience you deserve. So if you are looking for a locksmith in Toronto then make sure you have the number of the best locksmith in Canada, and that is us! We have been in business since 1987 and as such, you can rely on the skill and experience we have. 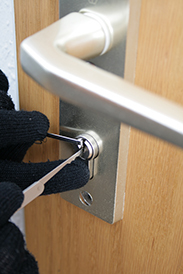 With the help of our expert locksmiths, we can undoubtedly get you back into your home within minutes. So make sure you give us a call today at 647-557-6403.